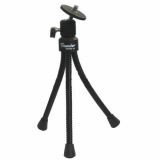 Camera Stand CAMERA TRIPOD Camera Stand CAMERA TRIPOD is ideal for use with the most popular digital cameras. Holds your camera steady. Camera Stand MONOPOD Camera Stand MONOPOD with four sections, height 370-1050 mm, carrying case. Camera Stand TRIPOD F-104 Camera Stand TRIPOD F-104 mini for cameras. 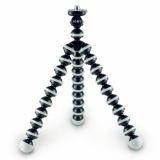 Camera Stand TRIPOD-50 Camera Stand TRIPOD-50 with length 550/1500 mm,weight 1.8 kg and load capacity 4 kg. 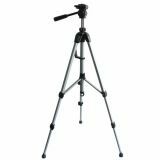 Camera Stand TRIPOD-21 Camera Stand TRIPOD-21 with length 400/1250 mm and load capacity 2 kg. List Price 22.00лв. VAT Incl. 20.90лв. VAT Incl. 19.80лв. VAT Incl. 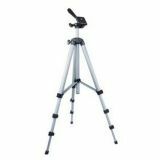 Camera Stand TRIPOD-41 Camera stand TRIPOD-41 with length 675/1610 mm ,weight 1 kg and load capacity 1.7 kg. List Price 4.25лв. VAT Incl. 4.03лв. VAT Incl. 3.82лв. VAT Incl. 3.61лв. VAT Incl. 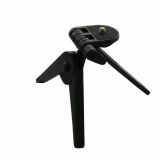 Camera Stand TRIPOD-10 Camera Stand TRIPOD-10 with length 100/127/150 mm, weight 0.115 kg and load capacity 0.8 kg. 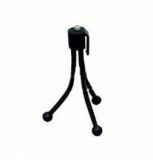 Vikiwat Ltd. offers to its clients a wide range of camera stands, tripods, monopods, fixed stands for security cameras and minitripods with flexible legs. Visit us or shop comfortably in our online shop with fast and cheap delivery directly to your home or office!